Traditional camp activities include swimming, canoeing, archery, team building, environmental education, garden, pioneering, fort building, arts and crafts, and more. April 12 – 22 during Summer Blast Off. Start your child’s appreciation of the great outdoors by enrolling him or her in Wee Backpackers! From the moment campers arrive each day, counselors guide them through traditional camp experiences including hiking, nature study, swimming, group games, and arts and crafts. They have opportunities to sing songs, tell stories, and meet new friends. All activities are geared to show your preschool camper the wonders of nature. Wee Backpackers is carried out in small groups under the watchful eye of counselors trained to meet the needs of young campers. The Wee Backpacker program maintains a low staff to child ratio. 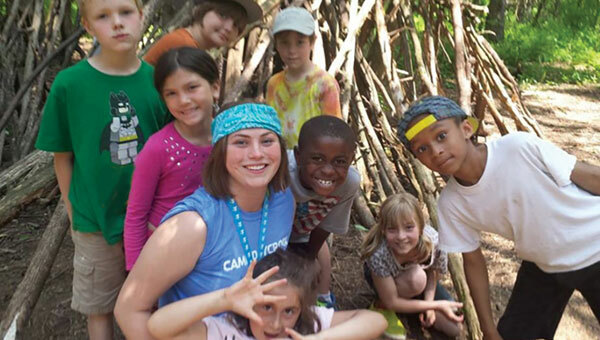 Campers explore hiking through wooded trails, studying the wonders of nature, canoeing along lake shores, and conquering many challenges under the leadership of well-trained staff. Exciting activities may include archery, swimming, nature studies, canoeing, fort building, camp crafts, cookouts and group games! 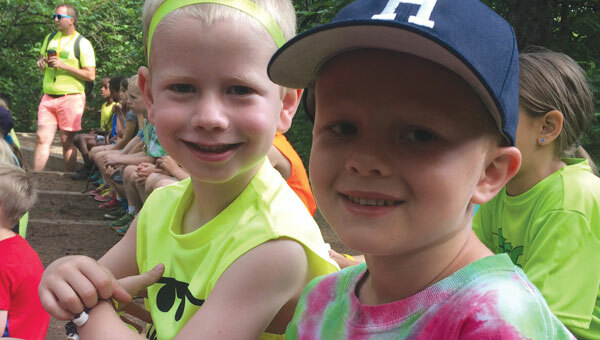 *Additional camp paperwork will be required for campers ages 4 – 6. The state of Wisconsin requires the Health History and Emergency Care Plan form, immunization record and signed waiver at camp. Forms found on our Forms & Publications page.